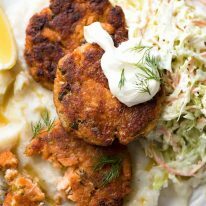 Salmon Patties – quick to prepare, golden and crispy on the outside, moist and savoury on the inside with lovely big flakes of salmon! 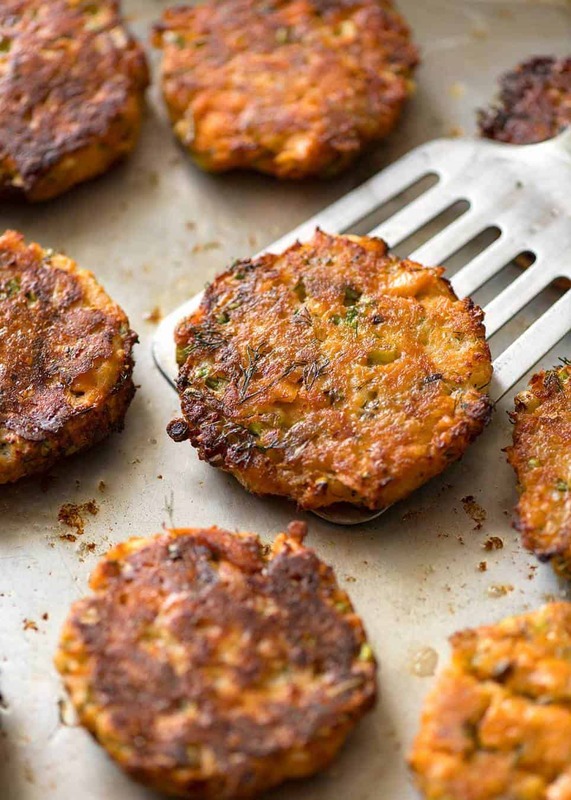 A very easy salmon cakes recipe that can be made with either canned salmon OR fresh salmon. These are Can’t-Stop-Eating-Them good! 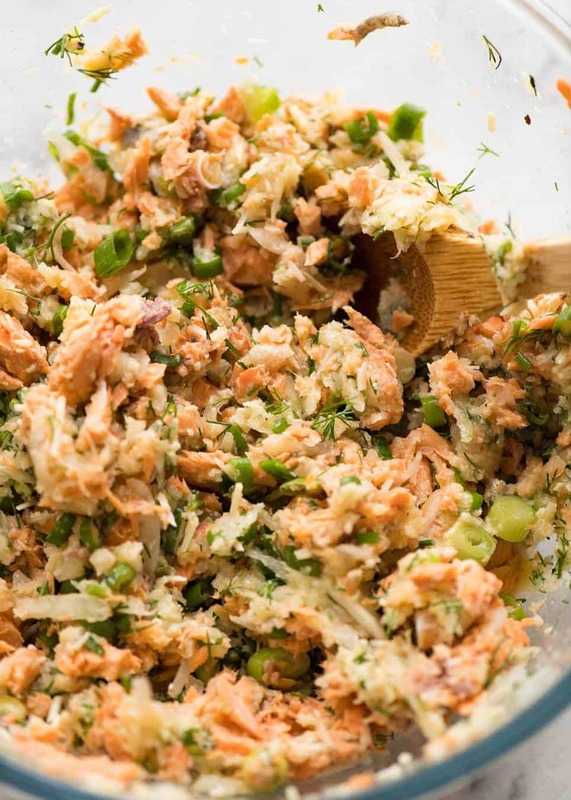 This canned salmon recipe will make you realise you CAN make incredible dishes using canned fish! 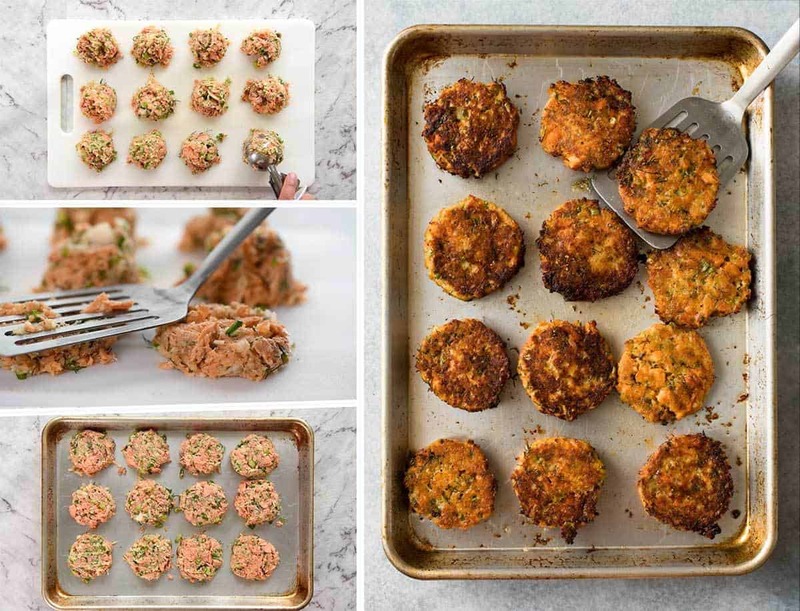 So I’ve always used canned salmon to make salmon cakes. 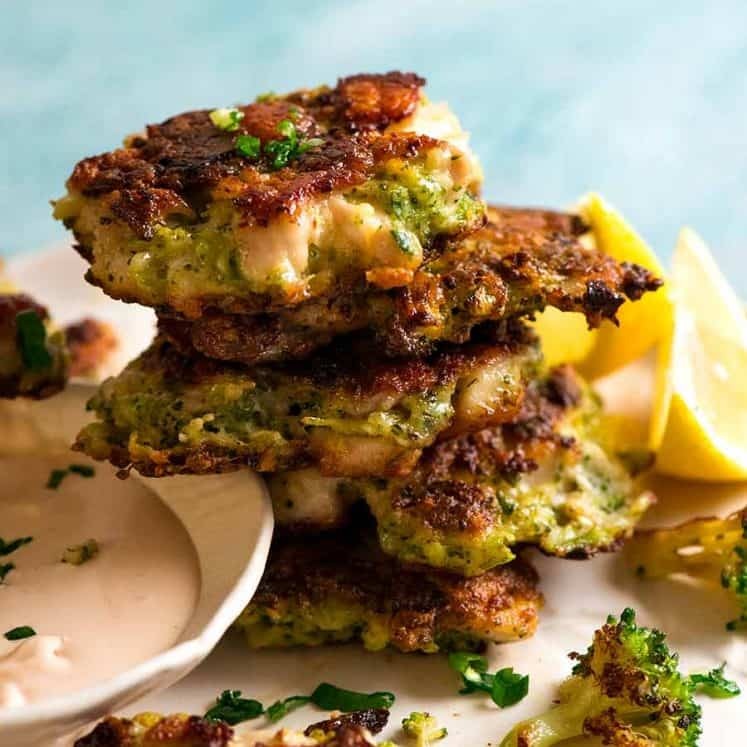 But one bite of these Salmon Patties, and any thought of compromising by using canned salmon instead of fresh will fly out the window. These taste SO GOOD!! Serve these up to anyone who has wrinkled their nose in distaste at the thought of canned salmon, and I bet you’ll change their mind. 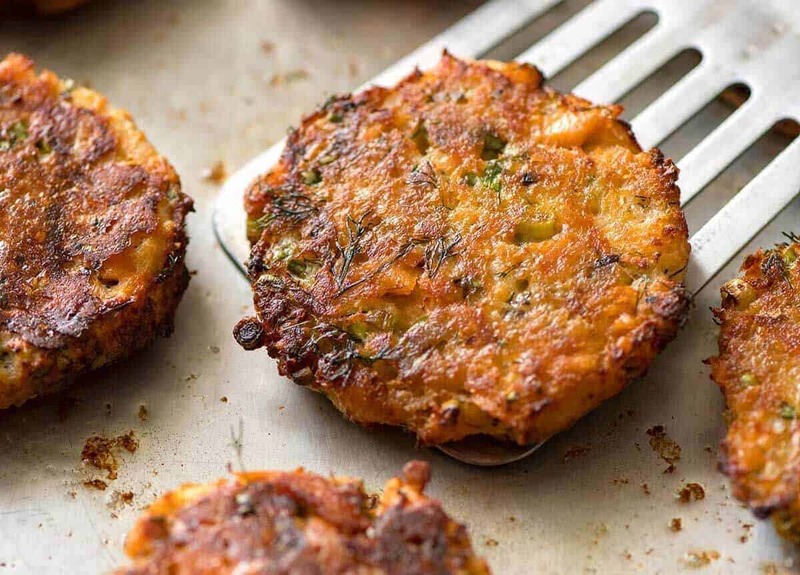 These salmon cakes are SO GOOD whether made with canned salmon OR fresh salmon! They’re moreish, beautifully seasoned, juicy and tender, studded with flakes of salmon, and a hint of herby freshness from dill. These babies are so golden and crispy on the outside, it’s almost hard to believe they’re baked. But they are, they really are. The trick to the golden crust is to preheat the tray. 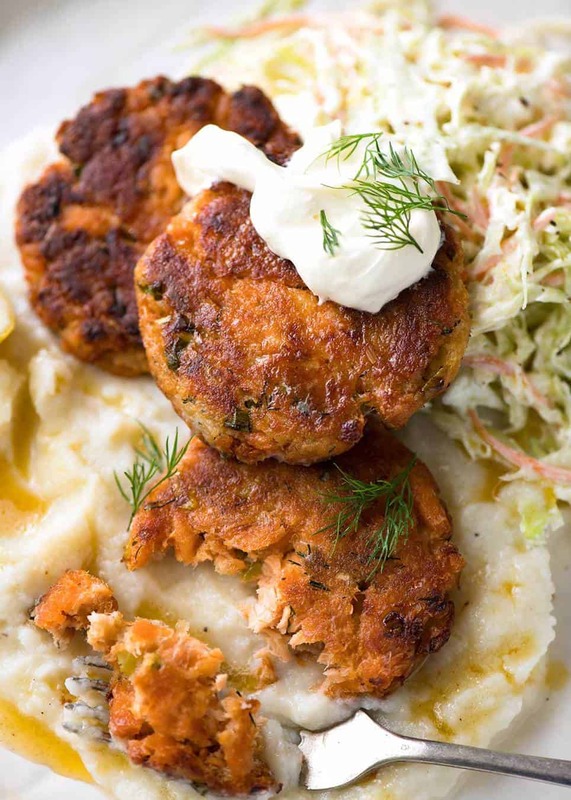 This makes a difference when baking things that are low in fat, like these salmon patties. 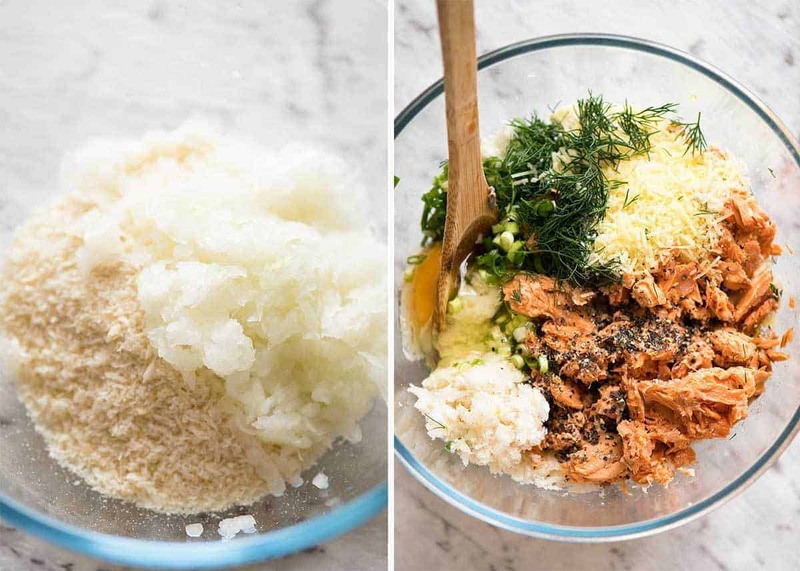 This canned salmon recipe will make you realise you CAN make incredibly delicious food using canned fish! avoids the need to precook the onion, which you have to do if you use chopped onion otherwise you end up with raw bits of onion in the patties. Then toss in egg to bind it, parmesan for umami (food nerd word for savouriness, the 5th taste sensation), shallots / green onions / scallions (global food language inconsistencies = 🤯), garlic, dill (or other herb, dried or fresh) and canned salmon. Give it a mix, and this is what you end up with. I know the mixture looks loose and you wonder how on earth the patties will hold together, but they do, they really do. The egg in this recipe keeps the salmon patties from falling apart while cooking. Also, because these are baked rather than pan fried, they are handled less so this also helps. I’ve never had Salmon Patties fall apart on me. As a meal – try a side of Yoghurt Slaw and Cauliflower Puree (low carb! ), I’ve popped these recipes in the notes. 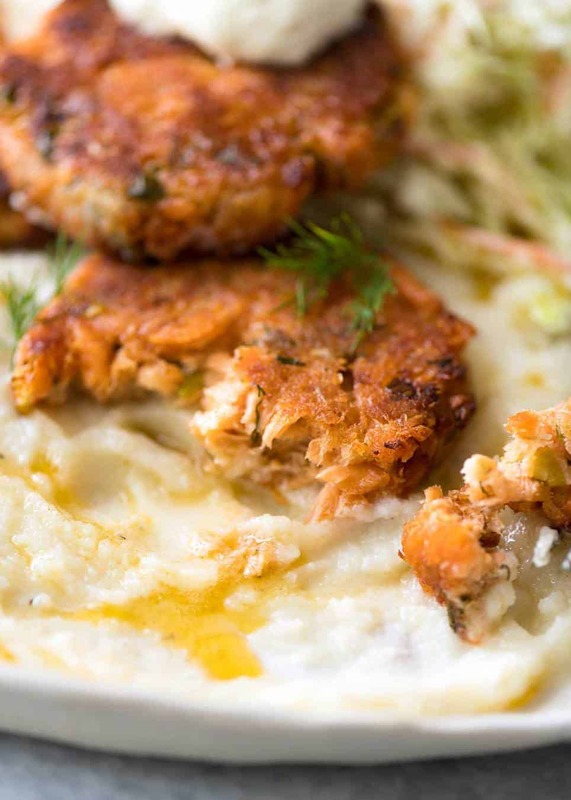 You get freshness from the Yoghurt Slaw and low-carb creaminess from the Cauliflower Puree that’s made for smearing over each bite of the Salmon Patties. Starter – pile onto platters with dipping sauce and pass around to share! PS You can, of course, make this with fresh salmon if you happen to be blessed with an abundant supply of them. Tell me all about it, and make me green with envy. Recipe VIDEO above. Made with either fresh salmon OR canned salmon, these are so moreish! Golden crispy on the outside, savoury and juicy on the inside, these are baked, not fried, so they're healthier and there's less cleaning up. Makes 12 patties. Preheat oven to 220C/430F standard or 200C/390C (fan forced / convection). Add remaining ingredients except salmon. Mix well. Add salmon. Stir through gently, leaving flakes of salmon (rather than vigorously mixing salmon into tiny pieces). Scoop up 1/4 cup mixture (level, packed standard ice cream scoop, see Video). Form round patties about 1.5 cm/ 2/3" thick and set aside. Drizzle oil all over tray. Place in oven for 2 minutes until hot - oil will spread over tray. Tilt tray to spread if needed. Place patties on tray - DO NOT press down (makes them stick on tray). Spray surface with oil spray. Bake 15 minutes. Flip, spray surface with oil spray, bake 5 minutes. Serve with sour cream or yoghurt on the side for dipping / dolloping, and extra fresh dill if desired. 1. Panko breadcrumbs are Japanese breadcrumbs that are larger than ordinary breadcrumbs so they make these patties fluffier inside. They're readily available nowadays in most supermarkets, in either the Asian section or alongside normal breadcrumbs. Guten free - 1 cup crushed rice crackers or almond meal in place of the breadcrumbs. Use in place of the breadcrumbs and do not change anything else in the recipe. I've tried all these and the patties still taste amazing! 2. SALMON: There are two types of canned salmon - pink and red. Red Salmon is more expensive and it has a more intense flavour than pink salmon. I use red salmon in springwater but oil is also fine - drain before use. I use the entire salmon in the can - skin and bones. The bones are super soft, not even noticeable in these patties. FRESH salmon, use 500g/1 lb, sprinkle with salt, pepper and drizzle with oil. Bake at 180C/350F for 20 minutes or until just cooked (or cook on stove), then flake and proceed with recipe. 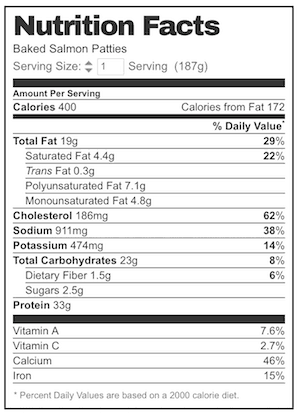 Alternatives: tuna, sardines or any other canned fish. Just follow the recipe as is - key is to fold the fish in at the end so you end up with chunks and keeps the patties fluffy, rather than disintegrating into the mixture (which also makes them hard). 3. GRATED ONION - soaking breadcrumbs with grated onion is a technique I use in most meatball/patty shaped things that makes them tastier and softer inside. 4. CAULIFLOWER PUREE: Cauliflower Mash with Browned Butter: Boil cauliflower florets in loads of water for 5 - 8 minutes until soft, then drain and leave to steam dry a bit. Whizz florets with a bit of milk (or cream!) and butter until desired consistency achieved - I made mine like a puree. Season with salt and pepper. For browned butter, melt 50g / 1/4 cup butter in a silver or white saucepan over medium high heat, it will foam then turn brown and suddenly smelly nutty. Take it off the stove immediately, pour into a bowl, leaving behind the black bits on the bottom. Drizzle about 1/2 - 1 tsp on each serving of cauliflower mash. YOGHURT SLAW: Finely slice cabbage, carrot and red onion, For dressing, mix plain yoghurt, lemon juice, bit of olive oil, salt and pepper to taste. Toss salad in dressing. Salmon Patties originally published February 2019, updated for housekeeping matters in March 2019. No change to recipe. So I reluctantly upsized to a 4WD. Then he grew even more – his head smooshes on the ceiling of the car, smearing it with filth. I made these tonight for dinner. The family, including my five year old grandson, loved them. My only change to your original recipe was a teaspoon of mixed lemon thyme and oregano instead of dill. Only because I didn’t have any dill. 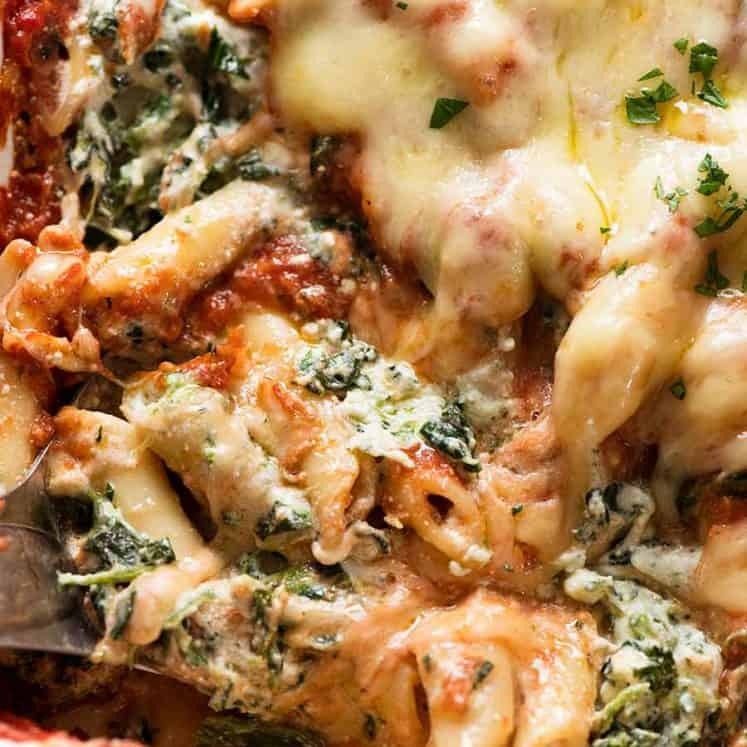 Truly a very tasty simple to put together recipe, plus baked in the oven. Fantastic. Sounds like a great substitute Ian! Can I freeze these patties either before or after cooking? Hi Nagi! I like your recipe for salmon patties–especially that they can be baked instead of fried. Question: after baking (and eating one or a few) can they be freezed for use later? Mine is a household of one human*, so there’s no way I can eat 12 at one time! 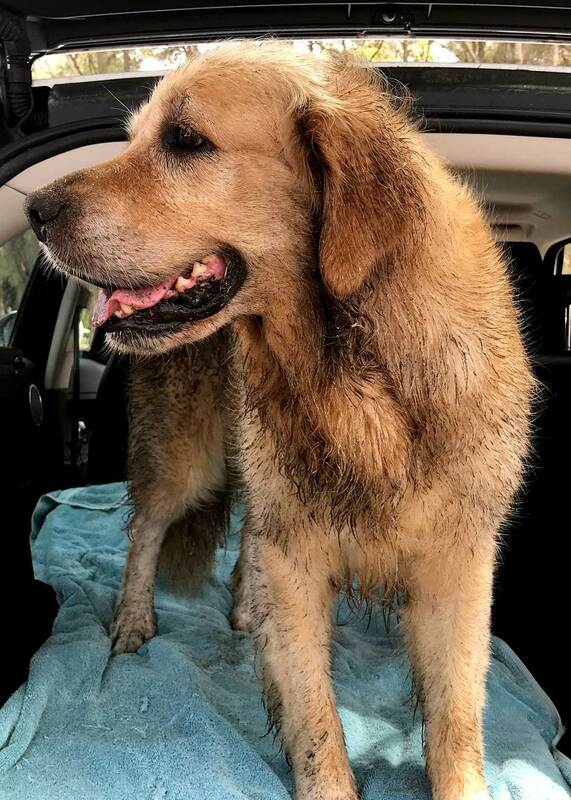 *Other part of my household is Riley, my golden retriever and dog-boss–he loves salmon, chicken, most veggies, pasta sauce and pizza (crusts)! Hi Nancy, Yes I have successfully frozen before! I made these tonight with almond meal. Didn’t have dill – so used fresh basil and parsley. They were delicious. Will be on regular rotation! So versatile and easy to alter depending of what I have on hand. Thank you! I’m so glad you loved them Farida! I used fresh salmon and the patties were delicious! Used dried dill. Kids loved them too! I made the patties with fresh salmon and they were delicious. Kids are them too! Will definitely make again and try tinned salmon next time. Thanks!! 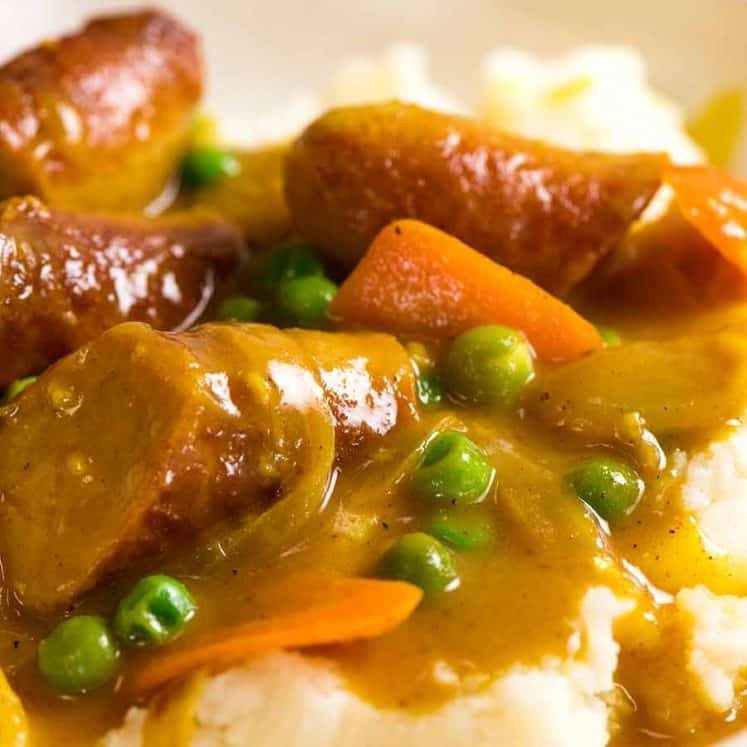 Terrific recipe thanks for sharing. I am enjoying eating these cold. Thank you Nagi for your recipe, I didn’t have fresh dill, used fresh parsley instead love easy recipes to follow,will be making them again, my family loved them. They were crispy and Delish!! Hi Lynda, you could use some garlic chives or regular chives – they would taste amazing!